Who doesn’t agree with Chimamanda? However, we are constantly exposed to a great information load; how much time are we really spending reading anything longer than 300 words? We are all aware of the amazing benefits of reading (such as improved vocabulary and writing skills, creative thinking and helps you become an amazing small talk generator at network parties), but we battle to find the time to turn our smartphones off and just read! How can use technology to our advantage on this one? We asked the TSIBA Community to share the 3 Best Reading Apps that allow them to read books & connect with their book club on the go! The apps are all free, so you better give them a try! Andrew Selondo, BBA 3 Student and Founder of the TSIBA Book Club, highly recommends Anybooks “The application lets you read books for free with a great interface, which includes a Dictionary setting if you want to look up a word. You can create your own digital bookshelf with books you plan to or are busy reading. The real advantage for us students is that once you have downloaded a book, you don’t need data to finish the book. If you struggle at managing your Book Club, this one if for you! 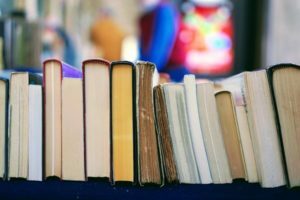 Our Own Book Club is an online management platform that will change the way you manage your group. Atiyyah Karlie, Fundraising Administrator & Brand genius raves about the tool, “Besides reminders and the digitial bookshelf option, Our Own Book Club has a chat option, so that I can discuss the book of the month with the other members of the book club, even if we’re not in the same city or country’. One of the features, oobSeer, can break any impasse by choosing the next read, as it will randomly pick a title from the ones your club added to the Suggested Books section. 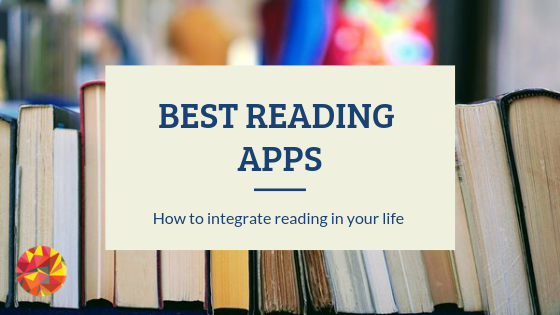 These 3 apps are free and will help you slot reading (social or not) smoothly in your life. Do you have other apps that you would like to recommend? Post in the comment section!